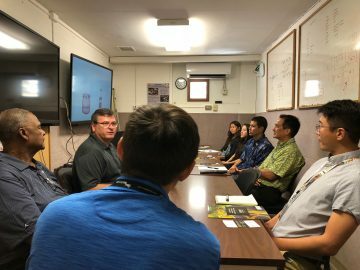 Scott Nazar and Marty Doody from HAPI member Forta Corporation visited Hawaii during the week of October 1st . 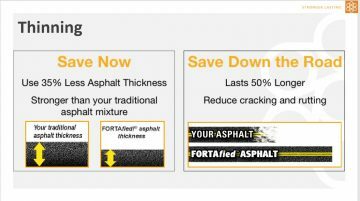 Scott is Forta’s Technical Manager for Fiber Reinforcement for Asphalt, and Marty is their the company’s Director of Sales and Marketing. 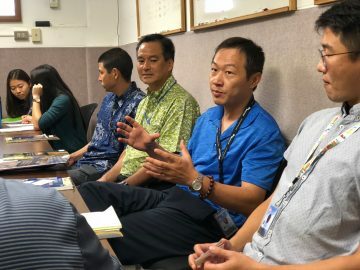 HAPI’s Executive Director Jon Young scheduled and accompanied the Forta representatives to a meeting with the U.S. Army Corps of Engineers, along with their local representative, Kimo Scott, from OK Hardware & Construction Supply, Inc. Forta representatives and Scott also attended others such as HAPI members Grace Pacific. 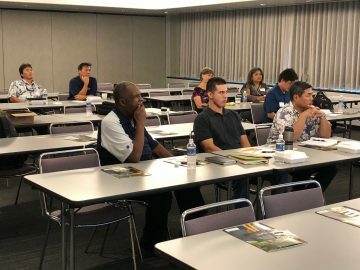 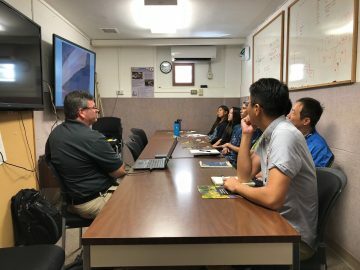 The highlight of the visit was a workshop Forta presented on the use of their fibers in asphalt pavement on October 3rd at the Daniel K. Inouye Airport Conference Center. 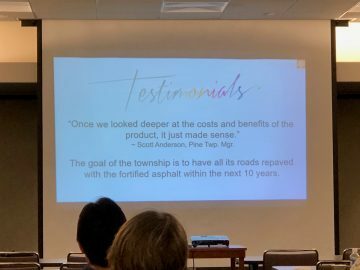 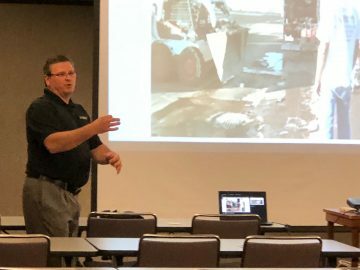 Scott’s presentation covered an overview/history of the Forta Corporation, pavement distress issues in Hawaii, the purpose of the various pavement layers, and an in-depth explanation of Forta-Fi fibers for pavements. 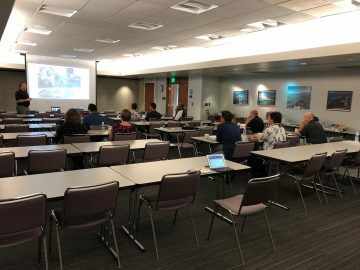 The workshop ended with a lively question and answer session.